is wrapped around each compressed shape. They are bundled with dried bamboo leaves in stacks of seven which they call “tung”. This is a very old method and dates back centuries but is guaranteed to keep the packaged teas clean and tightly packed which aids in their fermentation. 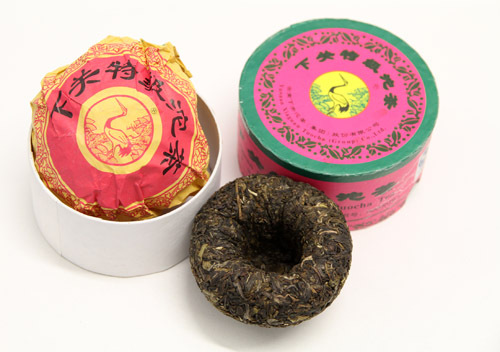 Pu-erh tea can also be dome-shaped (tuo cha), square or brick shaped (cha Zhuan) or pumpkin-shaped. Actually, Pu-erh can take any shape or design desired. The College of Pu-erh Tea of the Yunnan Agricultural University owns decorative panels made beautiful by using Pu-erh as shown in the photos below. Further, watch this interesting video showing how to break Puerh tea. 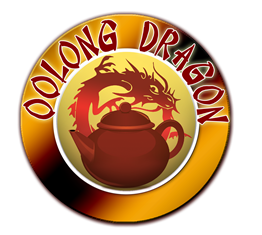 An unusual process in itself, the breaking of the tea is often done for just what is required of one single serving of tea.